Recently, there has been a buzz about mutual funds in the financial world. Many new mutual fund schemes and plans are coming up daily. But investing in mutual funds and stocks is not an easy task to do. Especially the new comers in the mutual fund world face too many difficulties with the formalities involved, the complexities of various schemes, which scheme to choose and which not. With the increasing popularity of the mutual funds, the various mutual fund houses have come up android apps for investing their money into mutual funds and stocks. So without further ado, let us see some of the best android apps for investing mutual funds and stocks. It is an ideal app for both the new as well as expert mutual fund investors. Using the personalized advice from an online wealth manager you can start investing with as low as Rs. 10. Savart is built with the purpose of helping everyone to realize their financial goals. The personal recommendations are based on the risk taking abilities, income levels, and investment preferences. Their intuitive algorithm analyses data of over 10000 stocks and 1000+ mutual funds, and then brings to you the best of financial advice. Not only this, they also support leading mutual funds such as Reliance MF, HDFC MF, and SBI MF etc. You can invest in ELSS mutual funds to get tax exemption under section 80C. If you have some problem or queries, you can contact their customer services for resolving it. Fisdom allows the investors to invest in top mutual funds and stocks without any paperwork. It is built in a manner that you can invest in just a few taps. Using Fisdom, you can invest in mutual funds with goals like building wealth, saving for a purpose, saving tax, and also advanced investing. They offer a variety of Asset Management Companies such as Axis Mutual Fund, Baroda Pioneer Mutual Fund, BOI AXA Mutual Fund, etc. Fisdom gives you with utmost security and privacy by using bank level security. They have 256-bit SSL encryption to securely store your data. Also they provide you with protection from unauthorized activity. Investing in mutual funds just got easier with Fund Easy. Also you can make up to 10% more profit than market average. You make money when you invest in the right scheme and at the right time. The Fund Easy app gives you the best advice regarding which scheme to choose so that you make huge profits. The investment advisors at Fund Easy analyze your portfolio periodically to help you identify poor performing funds and switch to better mutual funds. This helps in reducing the risk of losing money. 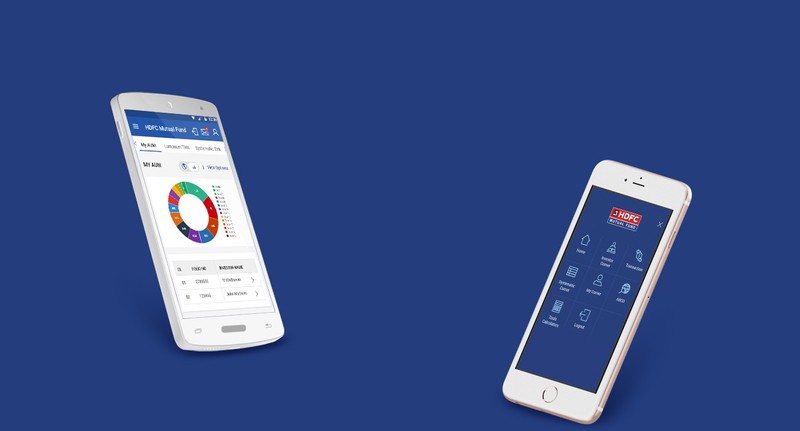 The Fund Easy app is for everyone who wants to invest in mutual funds. Their high level security also ensures that your data is safe and secure. The AssetPlus is amongst the most trusted mutual fund advisor and investment app. They deal with around 30000 investors who are investing and tracking more than 175 crores. In their Learn Section, they have explained about mutual funds and SIPs in detail. Not only this, they provide an automatic mutual fund tracker using which you can import and track all mutual funds on the app in a single click! You can get support from their advisors who are available on live chat to help you select suitable mutual funds as per your needs. Also you can start a SIP in any of the 4000+ mutual funds on AssetPlus in a couple of minutes. You can also invest in tax saving mutual funds (ELSS) to save under Section 80C. Groww has made investing in mutual funds simpler and easy. There is no paper work, no hassle while investing with the Groww app. The best part about the Groww app is that you can invest in direct mutual funds with zero commission for free. You can buy and sell mutual funds, or start SIP with a few taps. You can start your investment in mutual funds with as low as Rs. 500. The simple interface of the app is built with keeping experts as well as beginners in mind. Investica is amongst the best mutual fund investment apps. Investica is a simple and convenient way to manage investments on the go. It is developed to make the transaction experience of investors seamless. You can register in the Investica app using your PAN card and your AADAR card. To add to this, you can start with as low as Rs. 500 per month as your SIP investment. Investica will track and manage your entire mutual fund portfolio. It suggests you the best of schemes from over 2000+ mutual fund schemes for you to invest in. The whole process is completely online and there is no paper work involved in it. The FundsIndia is an on-line investment platform that offers a variety of financial products like mutual funds, equities, and company FDs. Through e-KYC verification you can invest instantly or you can sign up to start a SIP. Their SIP calculator calculates your needs based on your financial goals. HSBC Mutual Fund, SBI Mutual Funds, Reliance Mutual Funds, Franklin Mutual Funds etc. They give you instant alerts for real-time tips, recommendations and notifications regarding NAV & stocks.